Do you represent a Maryland State Government Agency and wondering how you should archive all your web and social media content? Are you trying to determine what you need to do both from a legal and a technical point of view? Here’s a guide to the different Laws and processes you should follow. 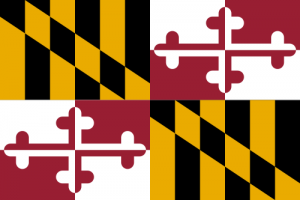 What Laws Govern Records Management in the State of Maryland? Do Maryland State Records Laws include Website and Social Media content? Yes, they do. NARA state that is a “[P]ublic expectation that all web content is both permanently valuable and accessible”. Social media and web records are subject to these standards as well as the relevant metadata being pertinent to these laws. The PIA covers virtually all public agencies or officials in the State. It includes all branches of State government – legislative, judicial, and executive. The PIA covers a broader range of government entities than FOIA and some other public records laws. Agencies must create specific record retention schedules for social networking records preserve responsive records subject to this period. GP § 4-201(b) provides that, “[t]o protect public records and to prevent unnecessary interference with official business, [an] official custodian shall adopt reasonable rules and regulations that . . . Govern timely production and inspection of a public record.” There is a requirement by most agencies that documents be electronically formatted. As the Attorney General office urges agencies to accede to the requester’s choice of format when producing records, which may be in computerized format, electronic records management is most efficient and advised. How can we transfer website archives made with PageFreezer to the Maryland State Digital Archives? If you have questions about any of this or about how to actually implement effective Online Public Records management, start a free trial, schedule a demo or contact us directly.